Something I really miss here in LA is the real Swedish midsummer celebration. It's just not the same or even close.. I wish I could go back every summer and celebrate it in Sweden. Anyway, I'm staying in LA this summer as well and will celebrate with SWEA LA, Swedish Church, SACC LA and some friends. Something that absolutely is a must for me is the flower crown! It has to be made by myself the same day and full with pretty flowers. Also, the midsummer pole is so important and gives a more Swedish feel and you can do the silly dance around it and play kubb. 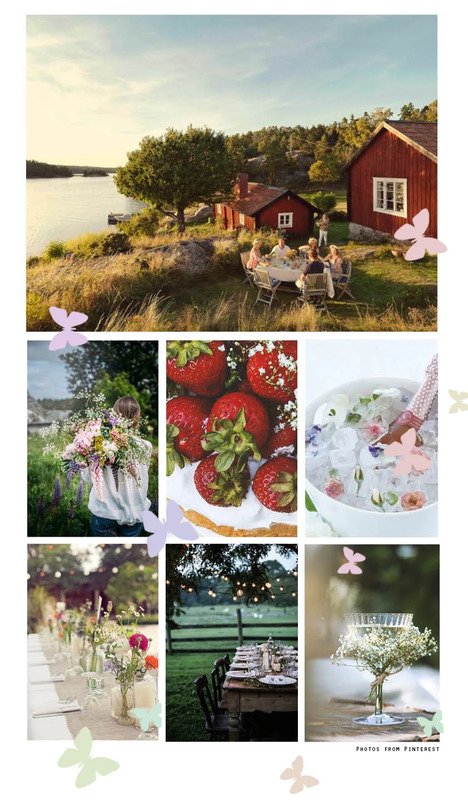 Here are some sweet, Swedish midsummer inspirational photos!